Alligator Eggs: Sara’s Wildlife Adventure The large female alligator wedged her way underneath the airboat and the boat moved side to side as the water splashed all around them! Then there was silence. Everyone wondered the same thing, is she still there? Do we still have to get off this boat? 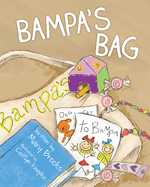 Bampa’s Bag When children find out that someone they love very much has cancer, it is hard for them to know what this means and how to handle it. Join two grandchildren as they find a way to provide help, hope, and healing during their Grandpa’s chemotherapy treatments. You will come to understand how to create joy and express caring for a friend or family member who needs your affection and support now more than ever. The Best of Miss Jenna Rose Jenna Rose was ready to begin first grade. She knew it would be the best week ever! Was first grade going to keep a smile on her face? Or could there possibly be a few surprises along the way? Jenna Rose was ready to find out! 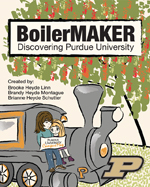 BoilerMAKER: Discovering Purdue University What can YOU do with a Purdue degree? Join Maddie on her adventure as she navigates the ins and outs of Purdue University. Walk by famous landmarks, visit every college, and discover the many noteworthy careers you can pursue with a degree from this very prestigious institution. 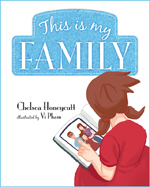 The journey doesn’t stop at the end of the story; this book comes complete with a family guide for parents and children as well as a curriculum guide designed to help teachers implement career development activities within their classrooms. Your future begins now. Boiler Up! 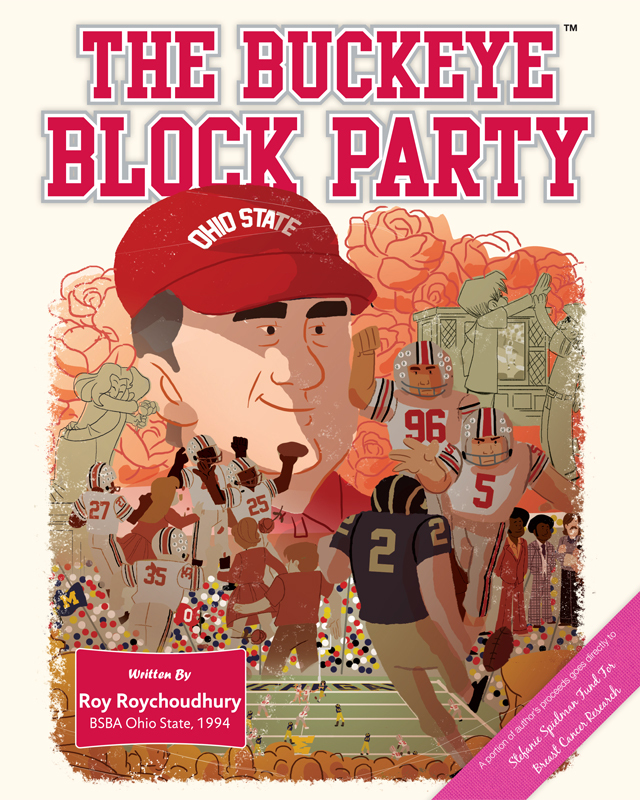 The Buckeye Block Party A book about the November 17, 1979 football game of Ohio State v. Michigan! 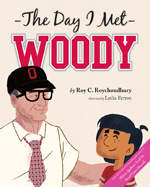 The Day I Met Woody Growing up in Ohio in the 1970s meant that you knew about Woody Hayes. 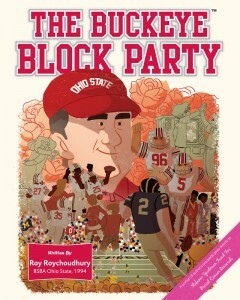 I watched my dad, my mom, my brothers, and my sister watch Woody coach the Buckeyes every fall. Little did I know, that one day, I would actually meet Woody and he would change my life forever. 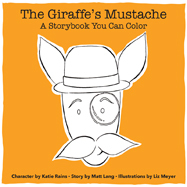 The Giraffe’s Mustache From the cafe, to the train, to the park, The Giraffe spends a day trying to be somebody else. Will it work? Or will The Giraffe learn that we can only ever be who we are? Is My Cup Empty? Some see the cup as half empty and others see it half full. But what do you do when the cup is empty? In Is My Cup Empty?, Lil’ Sherri, along with some help from her friends, gives a message about optimism. 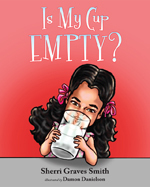 Lil’ Sherri shows that whether a cup, a bowl, or even a heart is empty, what matters most is filling them with good things. This is a simple message with a lot of meaning for children and the children at heart. James the Brave James has always been curious about the spooky house at the end of his street. Does the scariest man in the neighborhood live there? Does he have a giant monster all covered with hair? 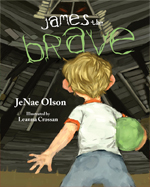 Follow James, the bravest of all, on his journey to the house where he will find out for himself just how brave he really is. 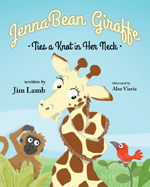 JennaBean Giraffe Ties a Knot in Her Neck A young giraffe fails to heed her mother’s advice and ends up in a terrible fix. Johnny Said What?!? What happens in the classroom, stays in the classroom, right? Not so! As an elementary school teacher for thirty-one years, Paulette Hoover has heard and seen it all, and the material is too good to keep to herself. 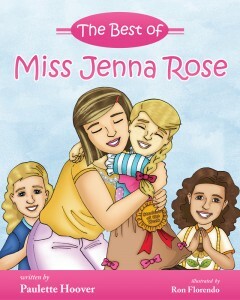 Compiling the best stories from her time in the classroom, she is ready for all to share in the joys of being teacher! Sit back and enjoy these crazy happenings of her students and coworkers. 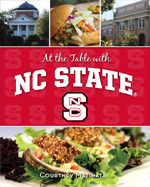 At the Table With NC State From the downtown hotspots to the dining hall must-haves, this cookbook compiles the most popular dishes on and around the North Carolina State University campus. With an amazing collection of Raleigh recipes ranging from Players’ Retreat’s sausage dip to campus’ homemade salsa, you’ll bring the culinary tastes of NC State straight to your table. May a flood of fond college memories fill your home with happiness every time you try one of these recipes. Enjoy the feast, Wolfpack! Lily’s Little Life Lessons: Lily’s Laces Rebeca recibió su Maestría en Trabajo Social de la Escuela de Trabajo Social de la Universidad de Columbia. Ella es una trabajadora social certificada en las escuelas y ha servido en varios equipos de estudios con niños. Rebeca también ha trabajado como guía consejera. Actualmente, ella está en práctica privada con especialización en niños y adolecentes. Rebeca vive en New Jersey con su esposo y su afortunada hija, Lily. Stephen’s Presentation On one particular Monday morning, Stephen wasn’t feeling very well. 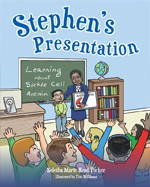 After a trip to the hospital, Stephen learned he had Sickle Cell Anemia. 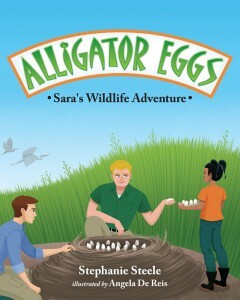 How would this disease affect Stephen? This is My Family Families all differ in one way or another; some have two sisters or maybe one brother. All of these families may look different in shape and size; just remember, when it comes to family, cherish yours as a prize. The Tiny Princess and the Missing Chocolates Tatum LOVES Chocolate! 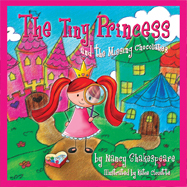 The very opinionated, very red-headed, and VERY small,Tatum the Tiny Princess embarks on a sweet adventure. Much to her surprise,what she finds along the way is truly more valuable than her chocolates! 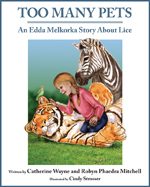 Too Many Pets: An Edda Melkorka Story About Lice Edda Melkorka is a girl who lives in Iceland. Edda speaks both Icelandic and English (but sometimes gets words mixed up) and she has plenty of interaction with people of other cultures. She is being raised with both European and North American influences, so she is as comfortable with root beer and Archie comics as she is with roasted sheep face and Spanking Day. 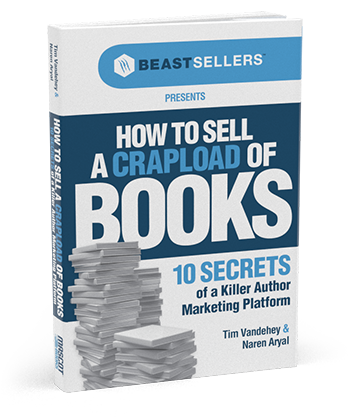 In this book, Edda wants another pet. When she gets lice at school, she tries keeping her lice as pets but things don’t work out quite as she planned. 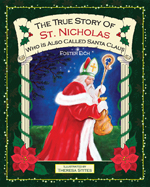 The True Story of St. Nicholas Did you know that St. Nicholas was a real person, a Christian leader in the fourth century? You’ll enjoy knowing about the person behind “Santa Claus.” Yo-Heaux, Indigeaux! Yo-Ho! Calling all pirates! Are you ready to climb aboard and set sail for another adventure with Indigeaux? Pirate Jean “Lil Feet” Lafitte is in big trouble! His treasure map has been stolen and his crew’s hideout might be found by a band of Bulldogs. 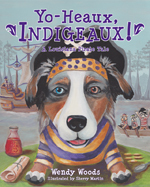 Indigeaux and her hearties must go to New Orleans to help Lil Feet. Can Indigeaux and friends save the day before it’s too late?